OCD and a standard human reaction do not always show up in the same scenario – at least not in my house. While I maintain a fierce disdain for dishonesty, I often find that my tolerance for true honesty can be much much lower. In all fairness to me, it’s not the candor that gets under my skin. Rather it’s the absolute blunt format of said perspective. This is doubly ironic (and some might add seriously hypocritical) given that I am nothing if not utterly and hopelessly unfiltered in 99.9999% of my own responses. I don’t want to be angry with He Who Shall Not Be Named (a.k.a. He Who Will Be Sleeping On The Sofa If He Keeps Giving Unfiltered Opinions), but I’m fairly irritated at the moment. We just moved into this home a few weeks ago and have been up to our eyeballs with the glories of life a la moving boxes. OCD and decorating are great when you have endless time and money falling out of your a-haul. But if they aren’t, arranging and designing your home become more stressors on the OCD hyper-focus list. 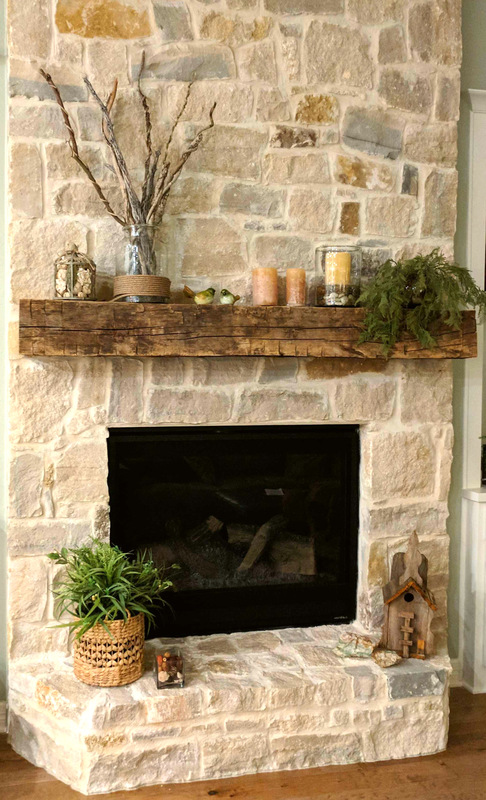 So when I finally extricated all things Christmas from my shelves and living room this evening, I decided to take a first run at the fireplace mantle. This is a major focal point in my unschooled designer brain, and I always make several attempts at this before I get settled. It’s never perfect on round one nor is it there by round ten. Did he talk smack about my mama? No. Did he mention how nice it would be if I could still wear the same pants I wore when we first met (or even two years ago…)? The local news would be covering my reaction to that one if he had, but no. Never that. He just made a doofy comment about the stupid sticks on the mantle. And he wasn’t wrong. But was this his first day with me? Nope. Hadn’t he learned from the other ten zillion overreactions that I had displayed in response to countless other uncensored observations that that kind of sh@! wouldn’t be missing any of the surrounding fans if he spoke the words aloud rather than retaining them in his noggin where they belonged? Apparently not. This kind of stuff – my frenzied reactions – irritate him, but his annoyance doesn’t compare to how truly maddening my responses are to me. And this is where I step back to observe the whole scenario via the “Rational Person Watching the OCD Behavior from the Outside” mirror. It really is unnerving. Although his comment could have been delivered in a smoother way, he wasn’t speaking with unkindness. Bad judgement call on his part? Yes. Mean intentions? Not in the slightest. And there were too many sticks, and they were too tall. I could see that, too. Why did his innocuous comment send me into redesign overdrive? Why does my mind have zero reservations about responding this way whenever my feelings get slightly ruffled? I’m not bothered that he made the comment. At that moment, he was wearing a white undershirt, ratty shorts, grandpa slippers, and tall dark socks – clearly this level of fashion underscores his unwavering commitment to design and style in his own life so his decor critique must be without question as well. I’m just frustrated that I internalized and, maybe more accurately, externalized it in such an irrational way. I struggle deeply with futile attempts to rein in these responses. My grandiose and inexplicable attempts to dispel inordinate levels of frustration are by no means limited to reactions to my husband’s comments. He just happens to be the primary owner of the never ending season pass to the MoJo Show, and that buys him a front row seat to the madness. For the vast majority of the rest of the world, the bulk of my idiosyncratic backlash typically stays hidden behind the scenes. But it’s still there regardless just waiting to flip into action. Thankfully for me, my husband seems to have accepted it all with relative indifference coupled with a head shake and an eyeroll, and thankfully for him, he has stopped giving design feedback for the evening. The candles, hearth, and shelves still await further modifications, but I would wager that I will receive no further commentary based on the Great Stick Mania of 2018. I would feel sorry for him, but seriously man – choose your words and then speak them. After almost twenty years, you should know how this dance is going to go. At the end of the day, we all have some fault in our character that we would love to wash away – an imperfection in our facade, a peccadillo in our personality – but the people who matter will recognize that the rough moments pale in comparison to the true beauty within you. Relationships aren’t meant to be perfect, and we have to accept that they will have their ups and downs. The same is true for our own mental and emotional states – no perfection or endless smooth sailing to be found there either. But my sticks are perfect dammit. So at least we have that. Happy new year to all of you! May your year be full of joy and blessings. May you always find the humor in yourself and in those around you. And above all, may you find the right sized sticks should you decide to attempt to arrange them on your mantle.